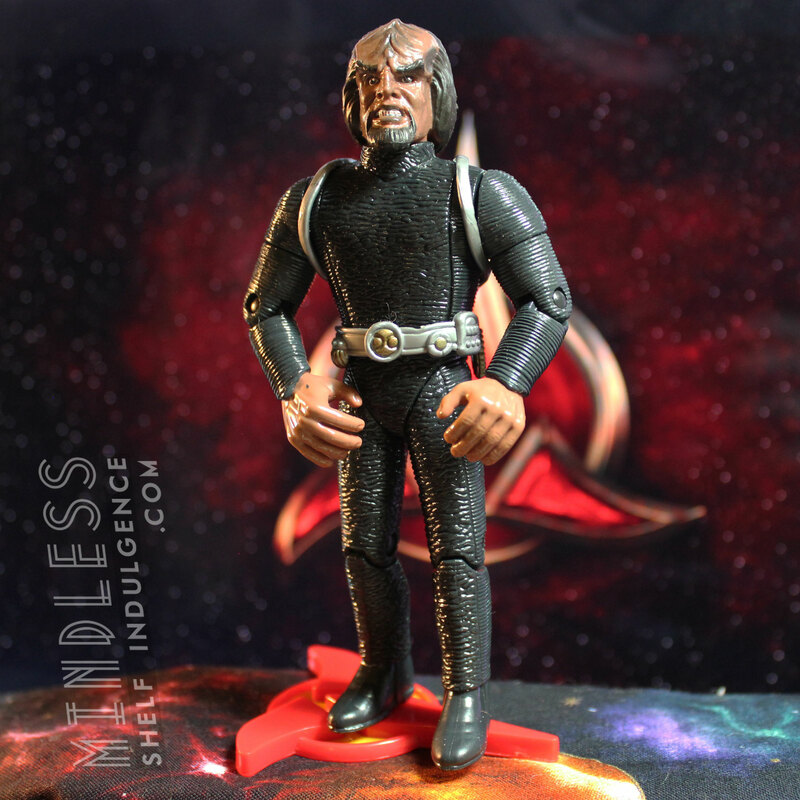 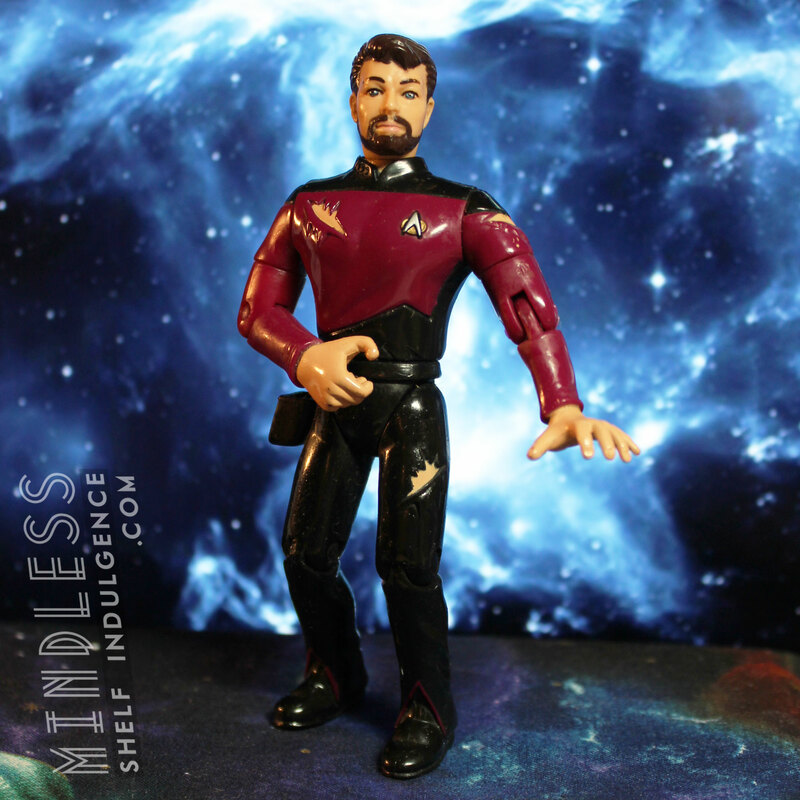 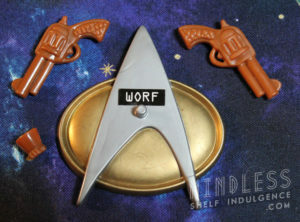 This version of Worf includes 2 brown revolvers, a shotglass, and a non-poseable Alexander that comes packaged as an accessory. 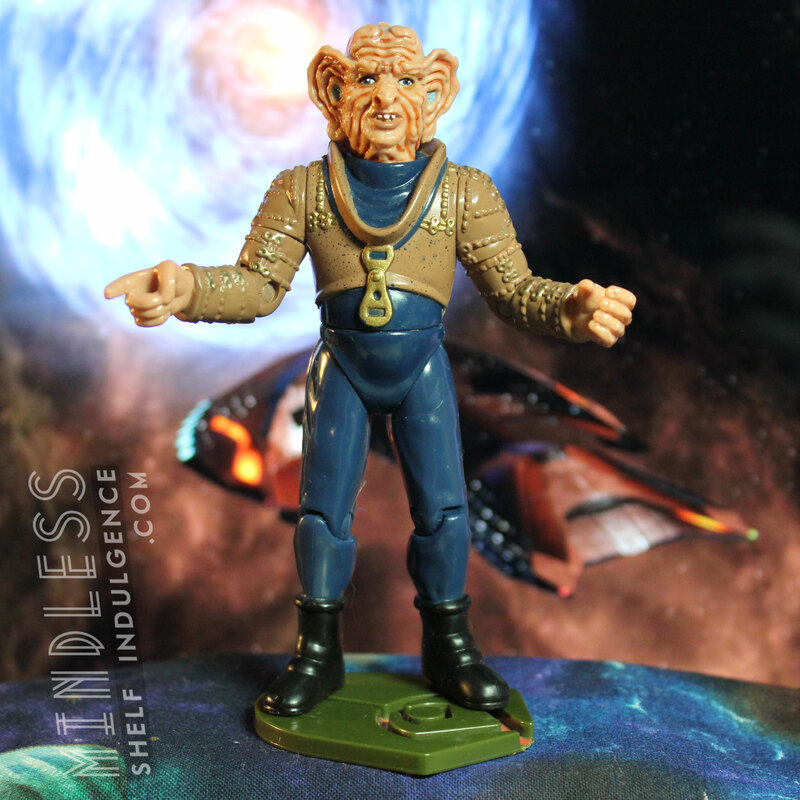 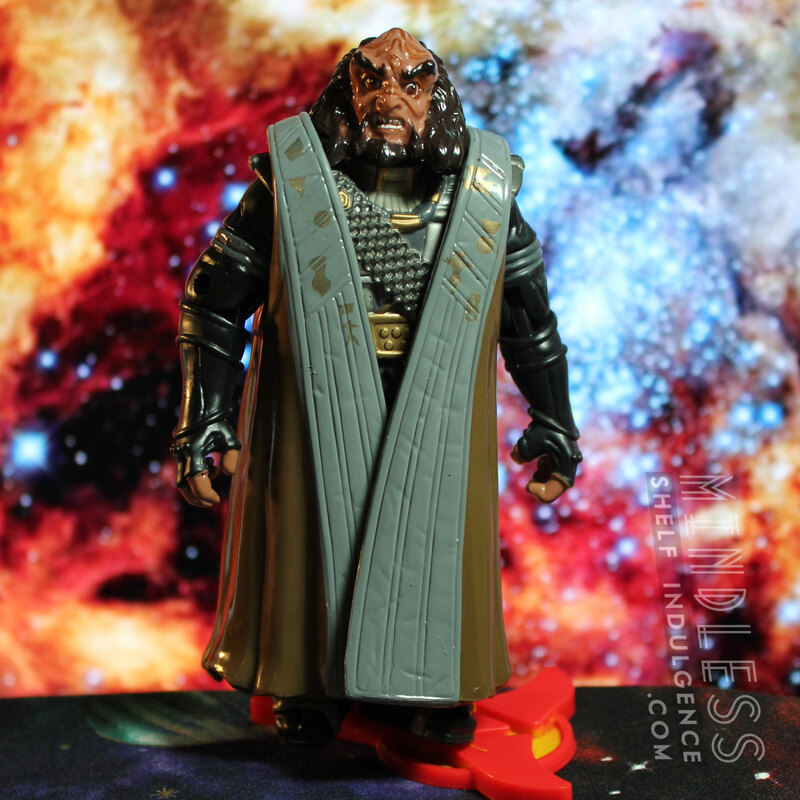 The Worf pictured here is the version from the 2-pack; a later 3-pack with a Data was released, and these were slightly repainted. 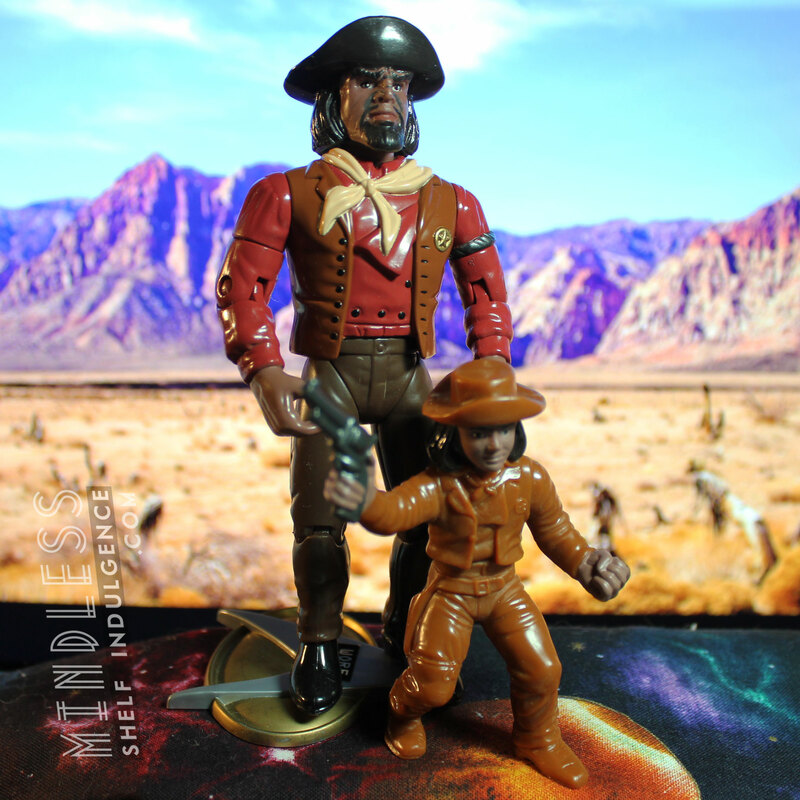 ‘Repaint’ Worf and Alexander are distinguished by having more complete paint schemes; Worf’s neck scarf is patterned, and Alexander’s vest, belt, and shoes painted.